All the advantages of a multifilament and a monofilament in one string. The first string with variable flex – more control on hard shots, more comfort on soft shots. Thinner gauge for more feel. Have your racket professionally restrung! We stock a large amount of string and can cater for any stringing requirements. Our expert stringers have experience at stinging at many county and major tournaments including the Yonex All England. For more information about our restringing services please read our restringing page. 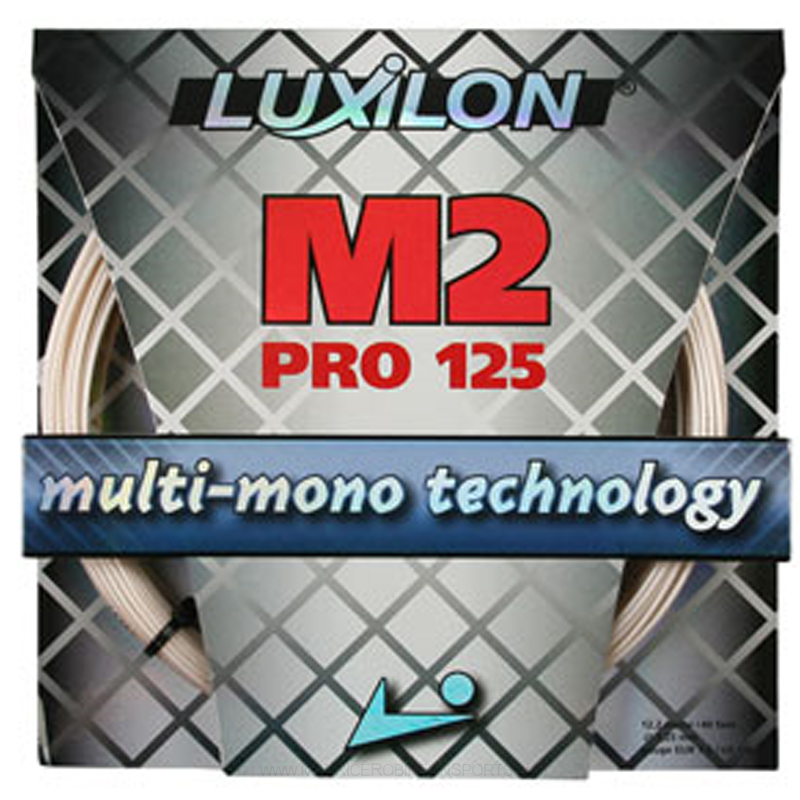 Do you own the Luxilon M2 + 125?